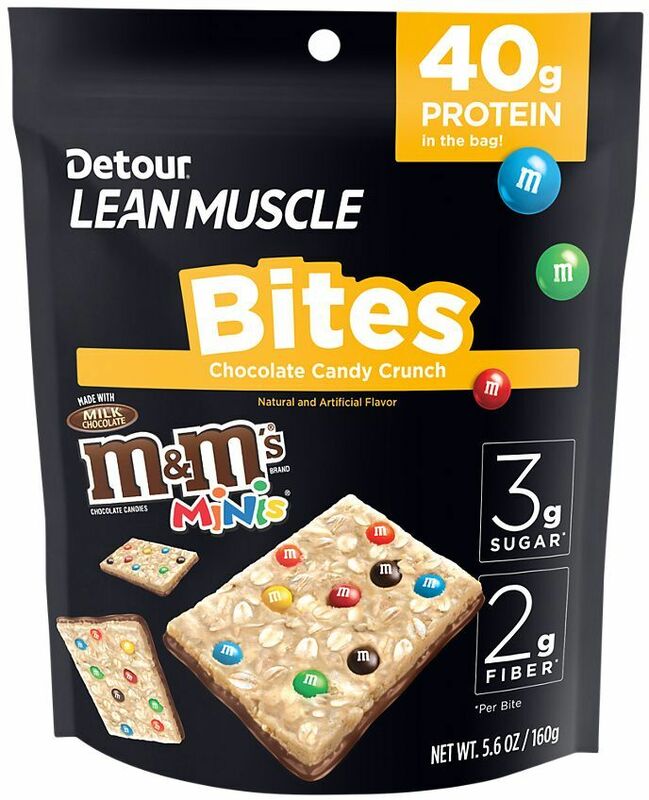 Jan 10, 2019 Detour Lean Muscle M&M’s Bites: Mini Candy Protein Bars! Defeat mid-day hunger with these insanely delicious low sugar protein bites. Individually wrapped so you can take them everywhere, each of these just-right bites have 5 grams of body satisfying protein, putting you in control. Light Hunger? One bite will do. Feeling hangry? Better grab two. Stash this resealable pouch at work, in your car, really anywhere and never be without a healthy hunger stopped again. Protein is teh good stuff, make sure you are getting high-quality protein everyday to be your best (hint: it's in this bag). News flash, too much sugar is not good for you. When you're ready for a ridiculously good low-sugar choice, about 3g of sugar per chunky bite, open this bag. Each 80 calorie bite is packed with the whole grain goodness of gluten free oats, adding 2gof slow burning fiber to yoru day.